For some the 2-4-1 BA Companion Voucher is the gateway to an Avios redemption flight of a lifetime, for others the numerous terms and conditions imposed nearly always ends up in a ‘computer says no’ situation. 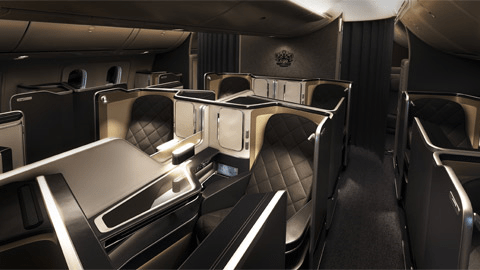 The BA Companion Voucher is offered as a perk with both the free British Airways American Express (upon spending £20k on the card) and the paid for (£195 pa) BA Premium Plus (upon spending £10k). As you’ll find out later in this review, if you’re able to spend £20,000 on a credit card then you should avoid the free version! As I’ve recently written in a review of the BA Amex Premium Plus credit card the 2-4-1 Companion Voucher is currently the most generous travel reward offered by any of the loyalty credit cards in the UK market. 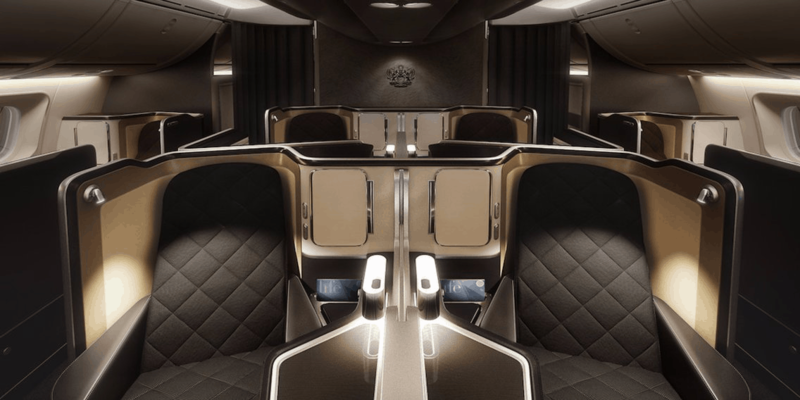 You can read about how I recently used my Amex Companion Voucher for two First Class British Airways flights (here) to Sao Paulo – with a staggering retail price of £16,000 – for less than the price of an economy ticket! Whilst the likely saving was closer to £1,000 (1p per Avios point saved) the BA Amex Companion Voucher is still an excellent perk if used correctly. What Is the 2-4-1 BA Companion Voucher? What’s the Easiest Way to Obtain a Companion Voucher on BA? Is the BA Companion Voucher right for me? The British Airways Companion Voucher essentially allows the holder to redeem an Avios reward ticket in any class and receive a second reward ticket for no additional Avios! Like a normal rewards redemption ticket you’ll always need to pay the taxes for both flights, however in a worst-case scenario this could be worth 8,000 points (return economy flight between London and Edinburgh) and best case as much as 400,000 Avios points (First Class return to Australia). As regular readers will know, redeeming Avios points for long-haul economy flights rarely makes sense. As a result most people end up redeeming their 2-4-1 Companion Vouchers for either Club World or First Class flights which could save somewhere between 100,000 and 200,000 Avios points. Here at Thrifty Points we value an Avios point at roughly 1p per point (as discussed here) which would make the saving using the BA Companion Voucher worth a staggering £1,000 to £2,000! HOWEVER, and unfortunately it’s a big however, you’ll clearly need a points balance of 100k to 200k already to be able to achieve these levels of savings. Fear not, it should be relatively achievable to accumulate this many points for a couple who could spend a minimum of £15k on credit cards in a year and may just take slightly longer if you’d expect to spend less. Read on for a step-by-step guide as to how this can be accomplished. As I mentioned earlier, the British Airways Companion Voucher is a benefit offered by the two BA-branded American Express cards. The free BA American Express offers the BA 2-4-1 voucher once £20,000 has been spent on the credit card in a card year (note it’s not a calendar year!) and will appear in the cardholder’s account within a couple of days of this threshold being reached. The card also offers a sign-up bonus of 5,000 Avios points when you spend £2,000 in the first 3 months and an ongoing Avios earning rate of 1 Avios for every £1 spent. You can increase the sign-up bonus to 6,000 Avios points by using this sign up link and scrolling down to the free version of the card. Whilst the BA Premium Plus American Express comes with an annual fee of £195, the reduced earnings threshold of £10,000 for the BA Companion Voucher and the increased 25,000 Avios sign-up bonus (potentially worth £250) make this card particularly attractive. Also, freeing up £10,000 of credit card spend to potentially use on another card will help you reach your goals of accumulating a sizable Avios points balance – more on this later. Similar to the free card, you can increase the sign-up bonus to 26,000 using this link and scrolling down to the correct card. Every little helps! Like it or not, the BA American Express Companion Voucher comes with a number of strings attached. Being able to successfully navigate your way through these will be the difference between either successfully redeeming the 2-4-1 Companion Voucher or painfully just letting it expire each year. With a potential value of £1,000 this would seem mad to most! The voucher can only be used with Avios miles redemptions. You couldn’t use it for a flight purchased with cash I’m afraid. The American Express cardholder must be travelling on the redemption. To use the Amex Companion Voucher the reward flight must depart from the UK. Whilst this makes it difficult to reduce associated taxes, starting your journey in either Inverness or Jersey could be an alternative option when trying to reduce taxes. You can return from a different destination which is known as booking an open jaw ticket. The one rule here is that the distance between two airports must be less than the shortest distance of the outbound or return flights. You can’t do this directly through the BA website so you’ll have to give the BA Executive Club a call to book. You are able to upgrade to a higher cabin class after booking. This is particularly useful if further seats become available after booking. You can use more than 1 BA Companion Voucher at once. Therefore if you’re flying as a family of 4 (i.e. taking 3 companions), you’d be able to use two vouchers and redeem 4 reward flights, paying the Avios flight price for only 2 people! You will need to book and fly the outbound leg before the voucher expiry date. The return leg can be after the expiry date. Unfortunately under no circumstances will BA extend the expiry date! Importantly you won’t lose the Companion Voucher if you cancel or downgrade your credit card. However one important point is that you’ll have to pay for the flight with an American Express credit card in your name. No problem if you’ve only downgraded to the free version or switched to the likes of the free (for the first year) American Express Gold card. If you cancel your flight you’ll receive the voucher back. The 2-4-1 BA voucher can be used for both one-way and return flights. If you are redeeming for a one-way flight then it will need to start in the UK. You can also mix up the class of travel. On my recent 2-4-1 voucher redemption I flew out First Class and back in economy (talk about coming down to earth with a bump!). I’m sad to say you won’t earn either Avios or Tier Points for a reward flight. Frustratingly you cannot turn an existing booking into a 2-4-1 Companion Voucher redemption. You can only earn one BA American Express Companion Voucher every card year. Availability is exactly the same as a normal reward ticket, so there will be a minimum of 4 economy tickets and 2 Business Class tickets on every flight. If you’re hoping to book a reward flight on peak routes during busy times then you’ll need to book 355 days in advance. Don’t wait to book the return. This can be added later – again 355 days in advance. There are two options to obtaining the British Airways Companion Voucher both of which involve a BA-branded credit card. Let’s take a look at the positives and negatives of each option. The card is completely free and as such that redemption could be even sweeter knowing you haven’t spent a penny! You’ll receive a sign-up bonus of 6,000 points (using this link and scrolling down to the correct card). The BA Companion Voucher only lasts 12 months. This could make redemptions on popular routes tricky or even (dare I say it) impossible. You could be missing out on a sign-up bonus of 26,000 Avios points. Recent changes to the American Express sign up bonus requirements means that if you’ve held a personal American Express credit card in the last 24 months, you will no longer qualify for the sign up bonus on the free card – read more here. The voucher you receive will last for 2 years, making it far easier to use on popular flights! You only need to spend £10k on the card to receive the 2-4-1 BA Companion Voucher. This will free up at least £10k of additional spending on other credit cards to hit sign-up bonus thresholds, etc. If you’ve held an American Express credit card in the last 24 months (besides a BA credit card) you’ll still receive the sign up bonus for the card. For most the £195 a year fee can be a massive deterrent, however I strongly believe it shouldn’t be. With the ability to earn an additional 20,000 Avios sign-up bonus, which with a 2-4-1 voucher would provide the equivalent redemption power of 40,000 Avios points, you’d be missing out on a significant number of Avios points. The points could be worth as much as £400 if used correctly, which should more than offset the cost of the credit card. Now something I haven’t mentioned as yet is that it’s possible to obtain the 2-4-1 Companion Voucher with a 2-year expiry without paying the £195 annual fee. BUT you will lose the benefit of the sign-up bonus which, as we’ve seen, could be worth as much as £400! As such we wouldn’t recommend this approach but for those who are interested we’ve set out how this can be done below. Sign up to the free BA Amex card using this link (and scroll down to the free version) to increase the sign-up bonus you receive to 6000 Avios points. Once you’ve spent just over £10k on the card call up American Express and ask to upgrade the card to the Premium Plus version. At this point you’ll have received the 2-4-1 voucher with a 24-month expiry. Once this has come through, you can call up and request to downgrade the card to the free version. In due course you’ll receive a pro-rata refund on the £195 fee for the Premium Plus card. Again we wouldn’t recommend this as we believe the 25,000 Avios (increased to 26,000 using this link and scrolling down to the correct card) more than offsets the cost of the card. At this point we thought we’d run through a worked example of redeeming a British Airways Avios Companion Voucher to show how easy (in theory) it can be. 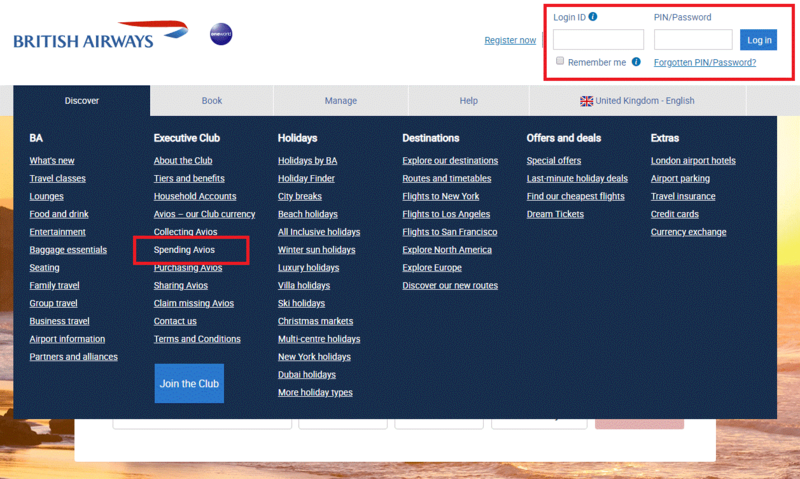 Log into your British Airways Executive Club account on the BA website. Hover over the Discover tab and click through to the ‘Spending Avios’ page – also found here. 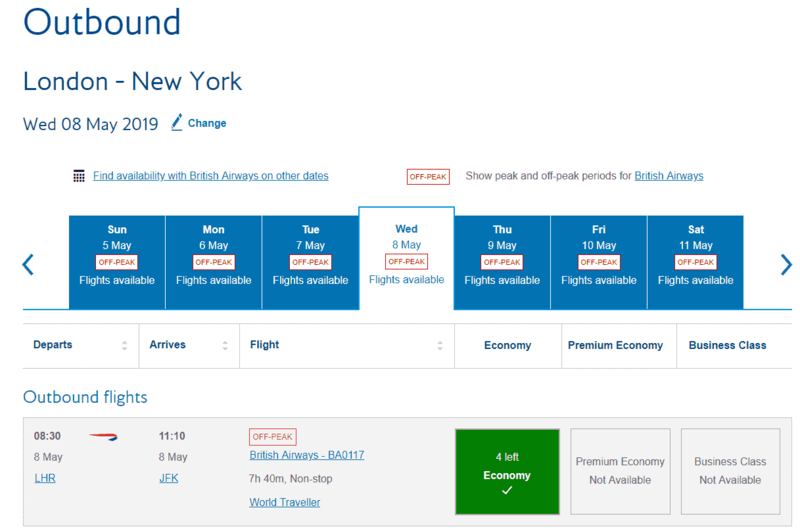 If you’re struggling to find availability we’d strongly recommend heading over to BA Redemption Finder to find reward flight availability – you can also read our guide on booking British Airways reward flights (found here). 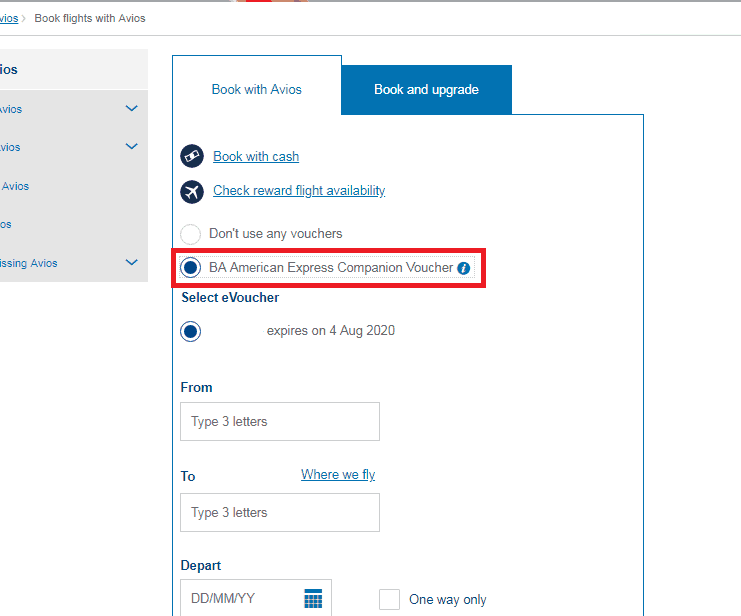 With the 2-4-1 Companion Voucher applied, the discounted Avios rate will show on the following page alongside the required taxes. All there is to do at this point is enter your personal details and pay the taxes. I regularly get split reactions when talking to Avios collectors about the 2-4-1 voucher. It’s definitely best suited to those who are happy to fly on BA metal from the UK and are able/willing to be flexible on both their dates and sometimes destination of travel. Those who are trying to either cut taxes or Avios through obscure routings will almost always end up with a ‘computer says no’ problem. That said, for those who have a reasonable size Avios points balance the BA Companion Voucher can prove to be one of the best credit card perks in the UK market with a value sometimes pushing over £1,000! Our favourite free credit card is the American Express Gold card (reviewed here) providing 20,000 points which can be transferred to Avios at a rate of 1:1 when you spend £2,000 in the first 3 months. This can be increased to 22,000 points when you use this link. You’ll also earn a further 2,000 points for spending £2,000 on the card, taking your total to 24,000 Avios points at this stage. Persuade your companion to also sign up to the card, providing a combined amount of 48,000 points. Using the BA Household Account you can then combine these points (as long as you live at the same address). Sign up to the BA Premium Plus card and spend £3,000 in the first 3 month to receive a bonus of 25,000 Avios points. Again this can be increased to 26,000 points using this link and scrolling down to the correct card. Spend a further £7,000 on the card to receive the BA Avios Companion Voucher. At this point you’ll have also earned a further 10,000 Avios for the total spend of £10k on the card. The total points earned from this would be 84,000 Avios points. Enough for two one-way First Class flights from London to New York! What’s the best use of a British Airways Companion Pass? Whilst this is partially down to personal preference, we’d recommend avoiding using the BA Avios Companion Voucher for either low value redemptions or long-haul economy tickets. Don’t forget if you haven’t got enough Avios for a return in the same class, you could always fly out in one class and back in a different class. TIP: If you’re thinking of redeeming for a First Class ticket on only one of the legs, then we’d strongly recommend flying First on the flight which commences in the UK and in particular Heathrow because you’ll receive access to the exclusive Concorde Room (reviewed here). 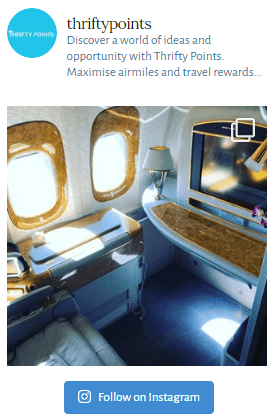 Is the BA Avios Companion Voucher transferable? No. Only the cardholder who earned the 2-4-1 Avios Companion Voucher can use the voucher. 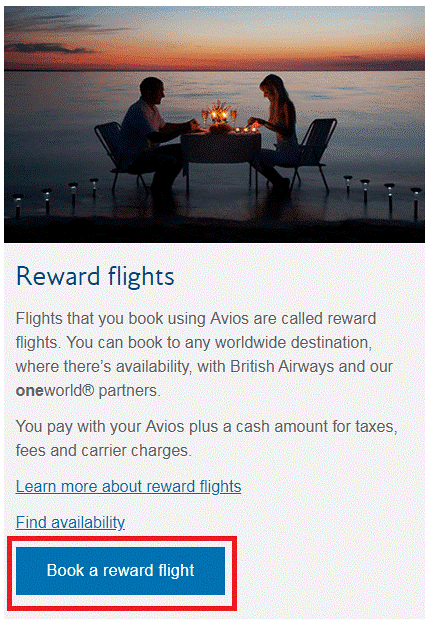 Where to find the Avios Companion Voucher on the BA website? When you choose to book a reward flight you’ll see your available Companion Vouchers listed. What are the BA Companion Voucher expiry rules? As mentioned, the American Express Companion Voucher with the free card expires after 12 months of issue with the premium version expiring after 24 months. Can you use American Express Companion Vouchers on other oneworld codeshare flights? Unfortunately not. You can only use on BA branded and marketed flights commencing in the UK. Can I change the name of the companion after booking? No. You could however cancel the booking and rebook (for a fee of £35 per person) however there is a high risk that you’d lose the reward seats. If I downgrade from the Premium to free does the BA Companion Voucher last for 2 years still? Yes and you’ll also receive a pro-rata refund for the annual fee.